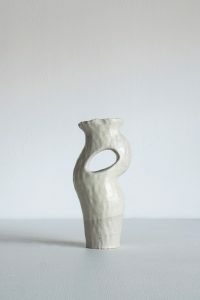 Kerryn Levy is a ceramic artist based in Adelaide, SA. 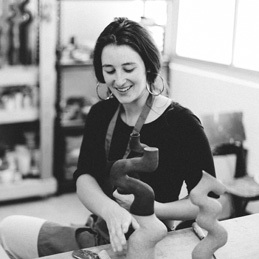 Having studied a bachelor of Visual Arts at University of South Australia (2014) and completed the Associate Training Program at JamFactory Contemporary Craft and Design (2018), Kerryn continues to practice out of her studio at the JamFactory. 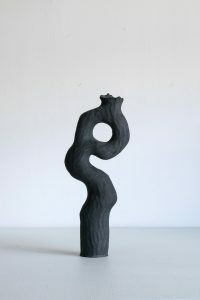 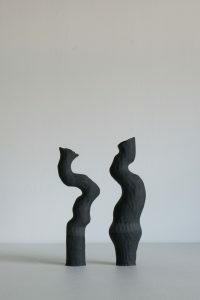 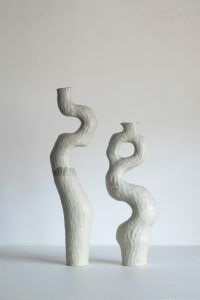 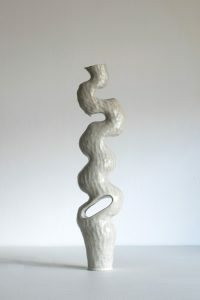 Using traditional hand-building techniques Kerryn makes sculptural vessels reminiscent of human, animal and botanical bodies, that nestle and dance with one another when paired or grouped, their surfaces designed to reflect the colours and textures of the Australian landscape.